Fujifilm X-E3 is Back on Fuji’s “To Do” List … And Can You Really Influence Fuji’s Decisions? NOTE: Long Term Rumor… so take it with the mandatory grain of salt. The Fujifilm X-E3 is again on Fuji’s “To Do” list. Now please let’s make sure Fujifilm won’t change opinion again, and continue to SPAM Fujifilm here in the comments with requests for the X-E3 because…. For a long time, the Fujiiflm X-E3 was the forgotten gem in Fuji’s desk drawer and I was seriously afraid that it could be over for the lovely X-E line. This is why, one day, I sat down with a glass of wine and waited for the inspiration to write a letter to Fujifilm. The result was the Love Letter to the Unborn X-E3. And since the real strenght of FR is its huge community, along with the letter, I also launched a series of Polls, to see how much interested there is amongst FR-readers for an X-E3 (with tilt screen), compared to other X-series cameras. Result: the X-E3 spanks them all! (see Polls below). X-E Lovers of the World, Unite! Ok… until now we were able to proof that Fujifilm reads this blog with such great interest, that they even display our Polls during official meetings with the press. So far it’s not surprising, since you guys are, by far, the biggest source of online feedback for Fujifilm and surveys launched here on FujiRumors usually get about 5,000 votes in just one day… and Fujifilm just can’t ignore such a huge (and 100% independent) community and its feedback. But can you guys also influence Fujifilm’s decisions? Honestly, I think quite rarely… but apparently sometimes you can and you already did it in the past… with the Monochrome Fujifilm X-Pro! Did a Poll on FujiRumors Decide the Future of the Monorchrome X-Pro? So here is a short story about the monochrome X-Pro. You might remember, how back in early 2015, Fujifilm Top Manager Toshihisa Iida said that he considers the Monochrome X-Pro a “sales opportunity for Fujifilm” and that it’s “technically of course possible, but it depends on the demand“. The rest is history: One year later, in early 2016, an important Fujifilm manager said, that every plan for a monochrome camera has been dropped… they prefered to give us ACROS. 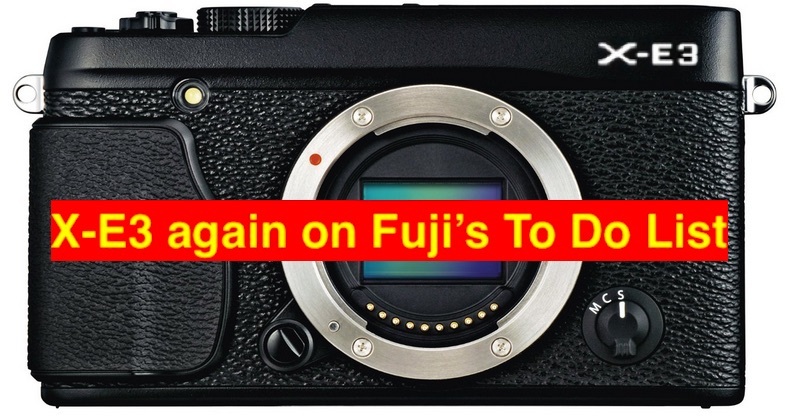 Now you might say, that the Poll on FujiRumors had absolutely nothing to do with Fujifilm’s decision to drop plans for the Monochrome X-Pro… but you might be wrong. I have it documented (with screenshots, too), that an important Fuji insider with excellent knowledge of Fuji’s long-term plans, was quite optimistic that a monochrome X-Pro could see the light of the day, especially after Toshihisa’s statement in early 2015. However, right after we launched the Poll here on FujiRumors, the very same Fuji insider saw the results and he publicy said that, given the bad results in the recent FujiRumors survey, he now has little hopes that Fujifilm will be motivated to make a monochrome X-Pro. 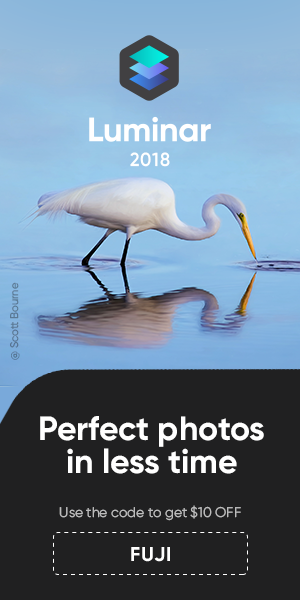 So, if written words still mean something, then the insider just confirmed that your voice (and votes) can influence Fujifilm’s decisions… or at least in case of the X-Pro monochrome your vote has very likely unmotivated Fujifilm to make it. Did the same happen with the X-E3? I don’t know, but I like to believe that all the love the X-E3 received here on FujiRumors in the last year, might also have influenced Fujifilm’s decision to give the X-E line another chance.